Increase your earnings while making a difference in people’s lives at the New England Institute of Health Services, right here at Riverwalk. 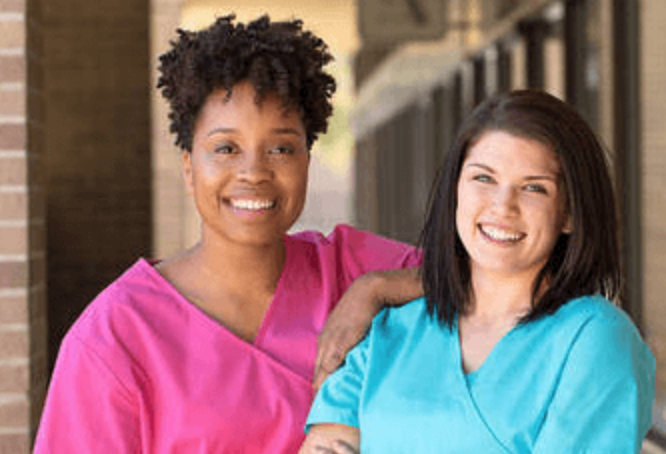 Choose from a Certified Nurse Assistant/Home Health Aide, BLS or Medication Administration program. Then, NEIHS prepares you with all the necessary skills you’ll need to practice safe and sound procedures and even hosts a professional day focused on workforce essentials, like resume building, mock job interviews and a job fair with local healthcare facilities. And with the U.S. Bureau of Labor estimating that 1 in 4 jobs will be in healthcare by 2024, there is no better time to get started in this field. Just think, in only 30 days you could be seeing patients and stepping into a truly fulfilling career. See how by applying right now.